*Though this post contains items gifted for review purposes, all opinions expressed are my own. 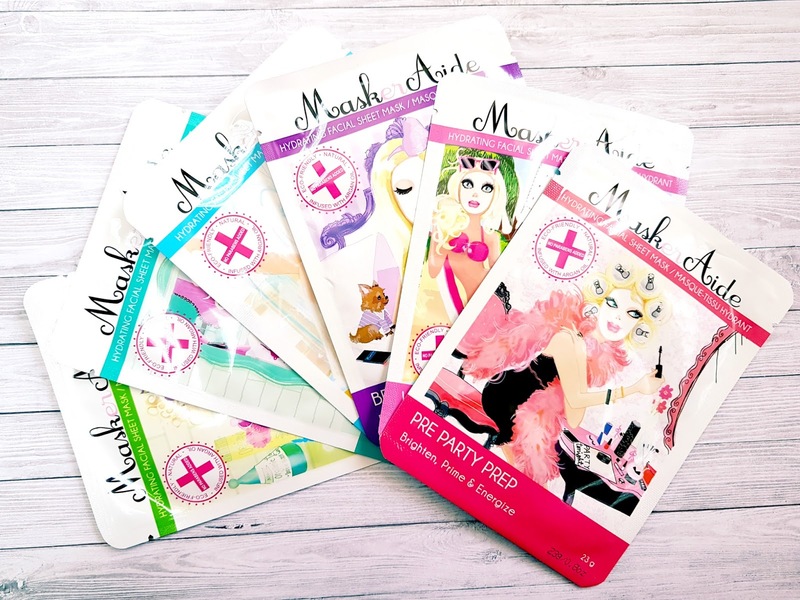 Korean Beauty has been taking the world by storm and I was so excited when Maskeraide very kindly sent me a full set of sheet masks. I'm a huge face mask enthusiast and look forward to applying one on a weekly basis. I've never however tried sheet masks before and couldn't wait to get my hands on these. 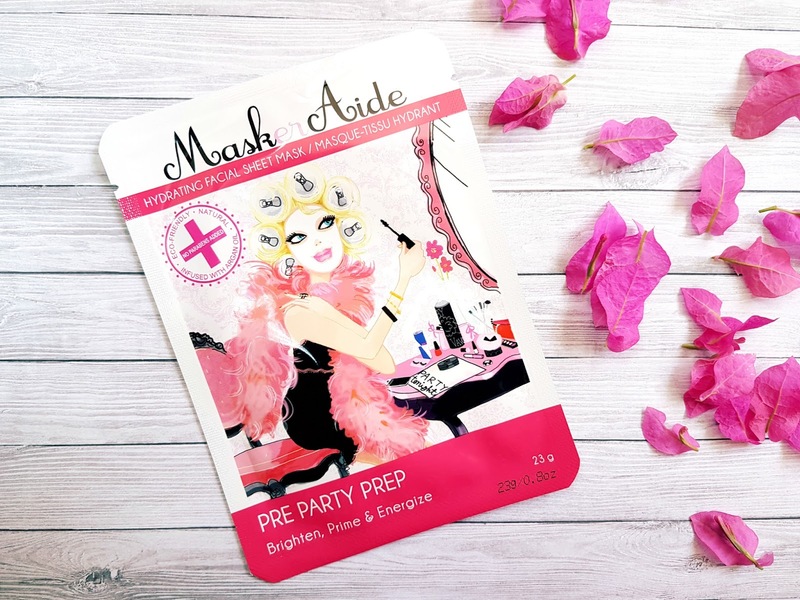 Sheet masks are a great supplement to your skincare routine and are infused with a powerful serum packed with all the essentials to hydrate, smoothen and brighten that complexion of yours. 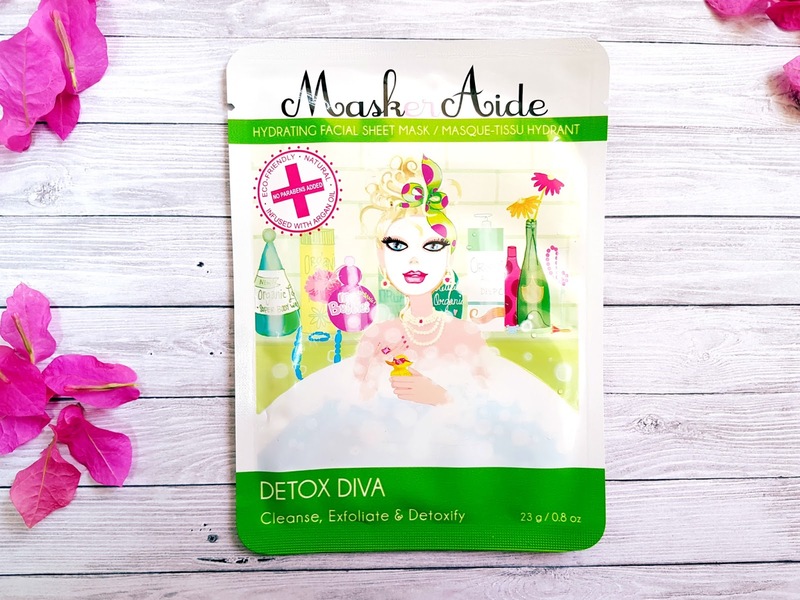 They are a fuss free way to treat your skin and there are sheet masks for every budget and skin type. 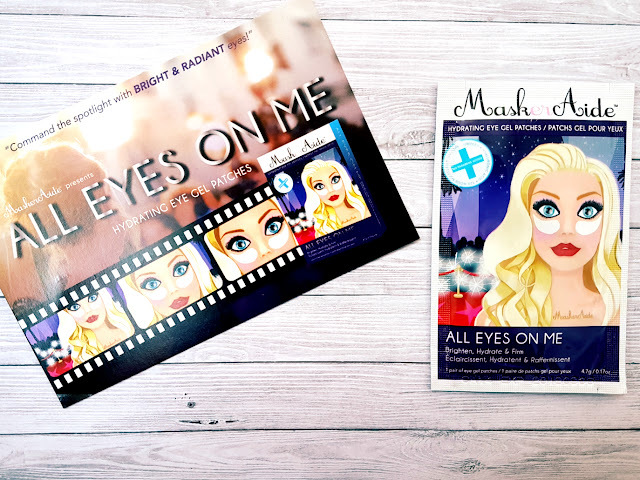 They're travel friendly too and I've seen many a beauty blogger whip one out while travelling. However the giggles I generate while walking around at home are enough reason to not step out in public whilst sporting a sheet mask! 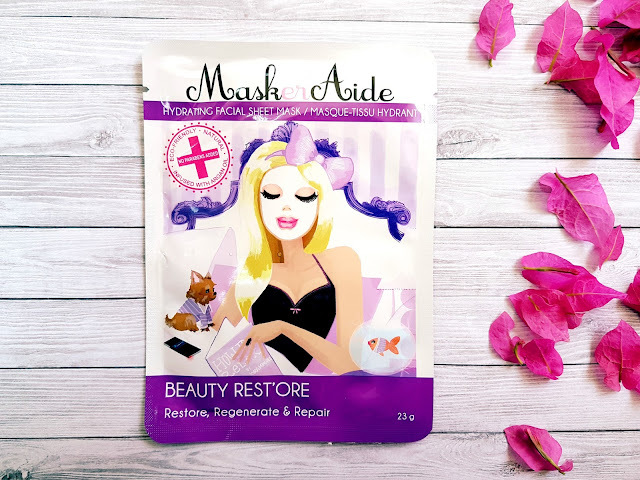 What I really love about MaskerAide Masks in particular, is that they don't use any nasties and have no added parabens or pigments. They're also sulfate, mineral oil and artificial fragrance free! I was concerned about the whole use and throw away concept, but was pleased to learn that the masks are a 100% biodegradable. The masks are also generously saturated with serum and you know you're getting your money's worth! 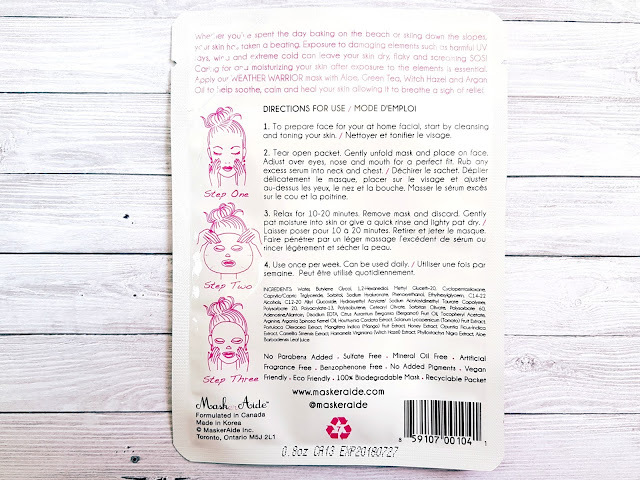 The only issue I had, and I'm sure this will be the same with all sheet masks, is that they are one size fits all and despite thinking that I have a rather normal sized face, I had to adjust and fold back the mask along the edges so that I didn't get any of the serum in my hair. Not a biggie, mind you. MaskerAide has 6 different sheet masks to cater to just about any occasion. 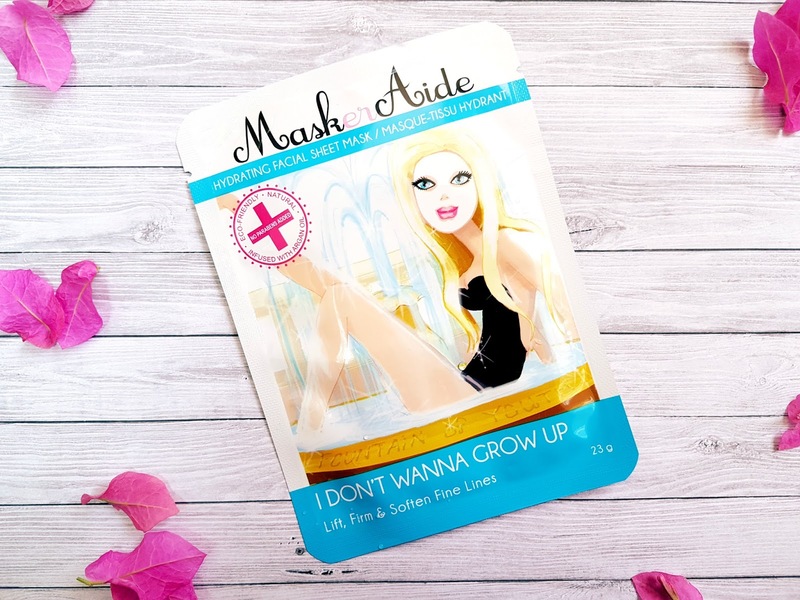 Each mask has the cutest names and the packaging appeals quite strongly to my inner child. After trying each out, my all time favourite is the Weather Warrior. I slapped it on after spending the entire day in the pool, my skin was so dehydrated and screaming for moisture and this mask left my skin feeling soft, supple and hydrated. The All Nighter comes in at a close second. It contains peppermint oil and just felt so wonderful and cooling against my skin. ALL NIGHTER to awaken, replenish & refresh. 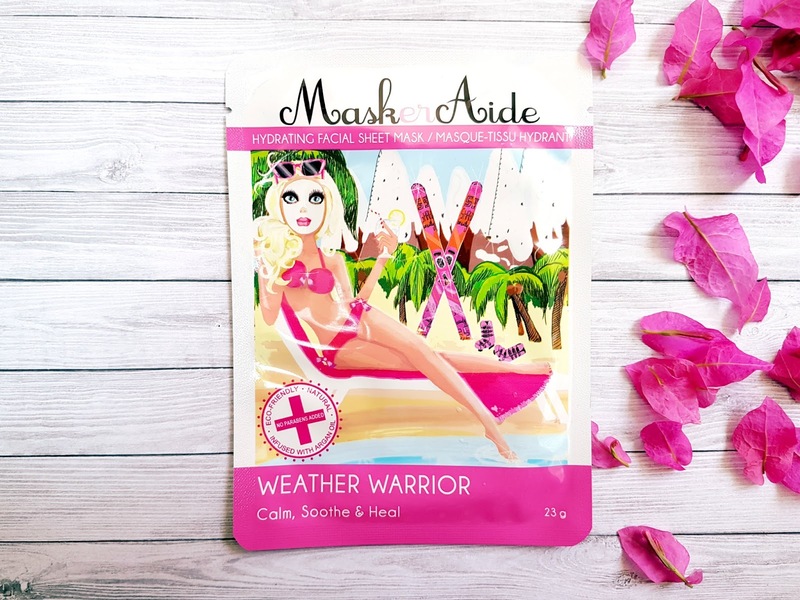 MaskerAide also has the new ALL EYES ON ME hydrating eye gel patches infused with brightening and firming ingredients including Hyaluronic Acid. I tried these on last night and was pleasantly surprised at how easily they moulded to the shape of my face. The patches were soft, flexible and a dream to apply and wear, leaving my delicate under eye area hydrated and feeling nourished. The instructions say to use on cleansed and toned skin. The toner will balance the ph level of the skin and allow the skin to better absorb all the nutrients that are packed into the serum. I also like to exfoliate beforehand to eliminate any dead skin cells. After 20 minutes, remove the mask and massage the serum into your face. 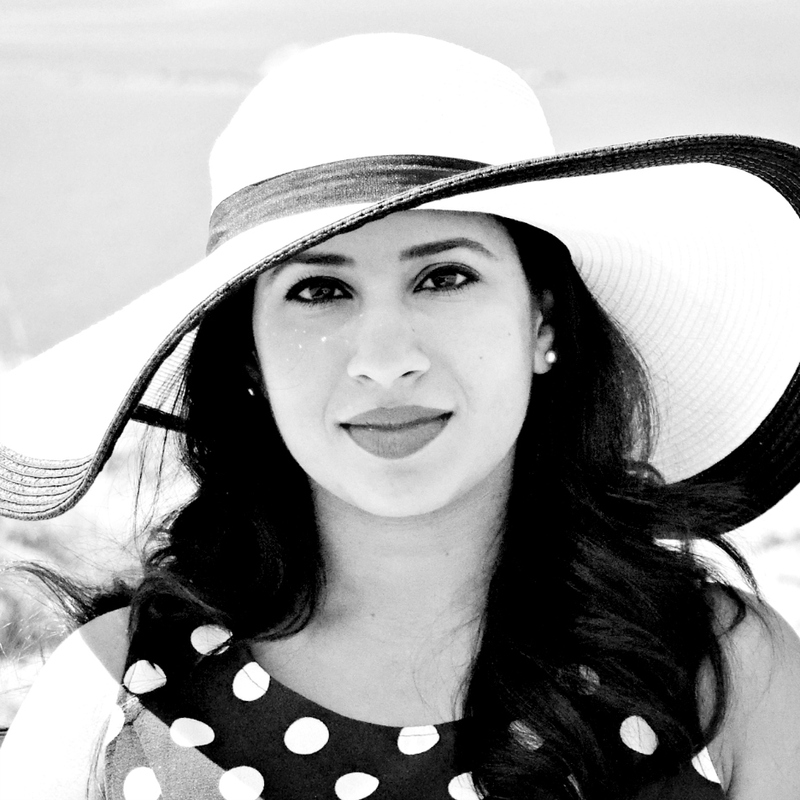 Follow up with a moisturizer best suited for your skin type to seal in the moisture. Use one a week, however these masks are so gentle, they can be used on a daily basis. To get the most out of the mask, I like to pop these on right after a shower and just before my bedtime routine. Also, read my post [here] on how to get the most out of your sheet mask. MaskerAide delivers internationally and I received the parcel in my P.O. Box three weeks after being sent from Canada. I also wasn't asked to pay any customs duties once the parcel arrived in Kuwait. MaskerAide's website can be found here. 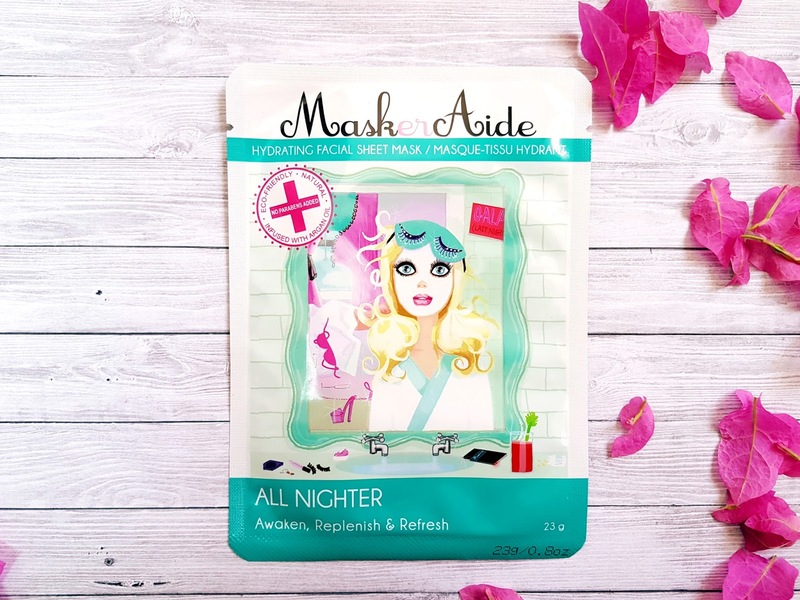 Do your skin a favour and give these amazing sheet masks a go! They were...and fabulous to use too! Have you tried sheet masks before? The Kuwait Airport - The 8th Wonder of the World? Bridgewater Chocolate - Oh My!